This blog will guide you through the successful configuration of Scoverage plug-in with SonarQube for Scala source code statement coverage analysis. The greatest advantage of SonarQube is the support for several programming languages for code quality rules. Unfortunately, it doesn’t support Scala. That is why scoverage plug-in exists for SonarQube. 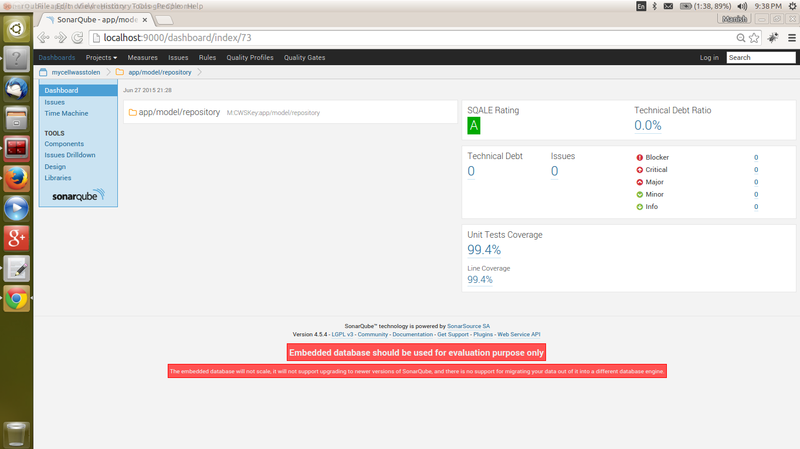 After adding Scoverage plug-in SonarQube will add Scala-specific rules for statement coverage. It can also support multi-language projects like Scala with Java and so on. 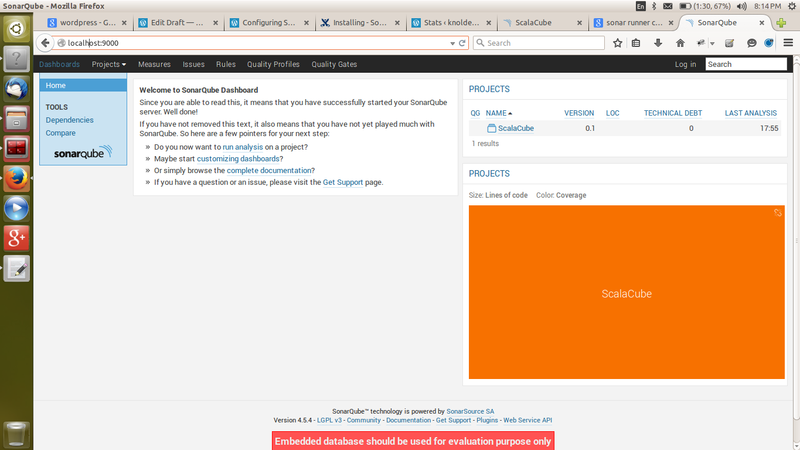 Download the latest SonarQube from here. Switch to bin directory. This directory contains several build directories for different OS s.
Select appropriate build directory according to your machine configuration. I selected linux-x86-64 for my Ubuntu 14.04 LTS. Add this directory location in your PATH variable. If you are on Windows, create a new environment variable for this directory location and add it to the class path. Open terminal and run the command $ sonar -h to check everything is all right till here. You will see a list of usage for this command. 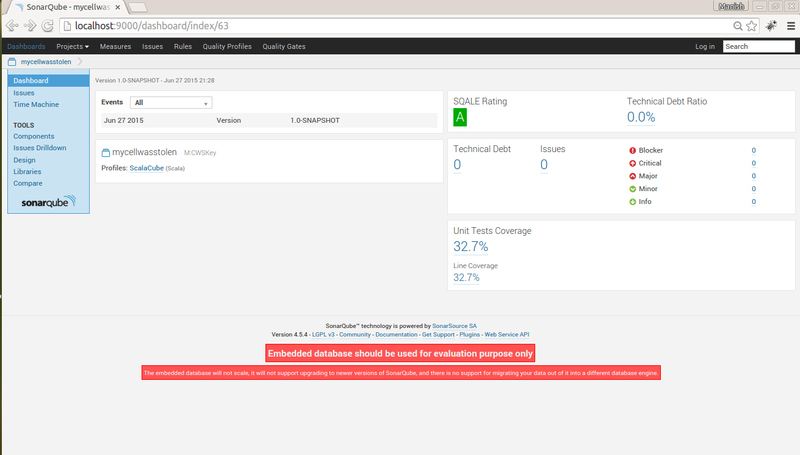 You will see Starting SonarQube… on the prompt that confirms SonarQube has been started. If your project is based on sbt and you have not configured scoverage plug-in, follow this link to get the scoverage plug-in. The SonarQube Runner is recommended as the default launcher to analyze a project with SonarQube. Get it from here. Download and extract it to your favourite directory and call it. Switch to extracted sonar-runner-x.x directory. This plug-in makes sonar reading the statement coverage report (xml) generated by sbt scoverage. Get it from the RadoBuransky plug-in repository. Pay attention on your SonarQube version while you select the jars. Copy [sonar-scoverage-plugin-x.x.x.jar] and paste it to SonarQube /extensions/plugins directory. Go to <extract directory> of SonarQube and open /conf folder. This property file contains several configurations such as jdbc driver configuration for sonar web server, such as database username and password. follow “Installing the Web Server” section of the page at http://docs.sonarqube.org/display/SONAR/Installing you must complete the sonar.properties configuration before moving ahead. Completed the configuration? All cooked-up now! You are just few step away from your report! Run $ sbt coverage test to generate scoverage XML report. Go to the page http://localhost:9000/ sonar dashboard and log in to sonar server with default username “sonar” and password : “sonar”. 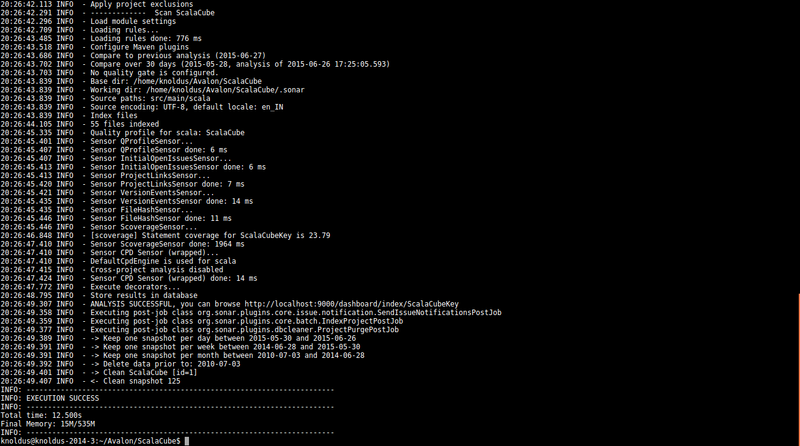 Run $ sonar-runner to launch the report on SonarQube web server. Now you can happily browse your report on SonarQube dashboard.Checkout Some of my report screen shots. All the best for your Configurations!! !